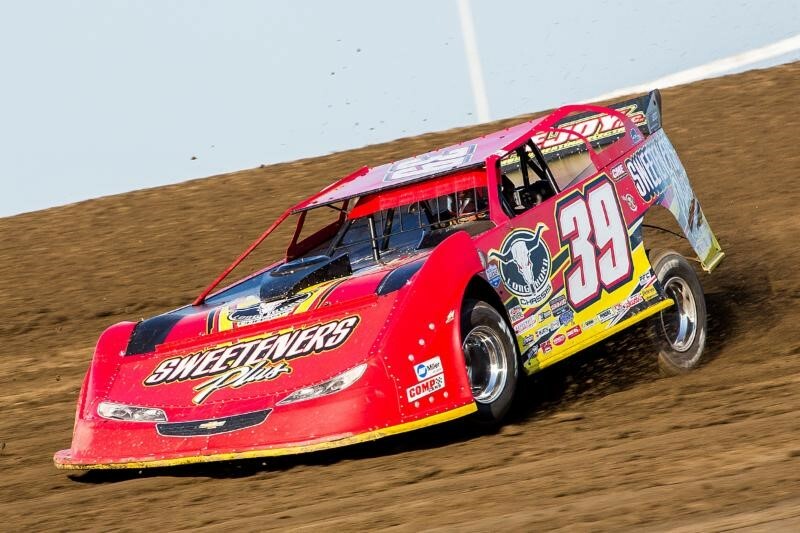 QUINCY, Ill. – July 10, 2016 – One night after Mike Harrison denied Ray Bollinger his third DIRTcar Summit Racing Equipment Modified Nationals victory of the season, Bollinger returned to victory lane with a win at Quincy Raceways. Bollinger started on the feature pole and fought a fierce battle early with Kenny Wallace. Just before the midway point, Wallace took the lead as the two drivers worked their way through traffic. Wallace built the gap on Bollinger but as he worked to get around a lapped car, Wallace caught a tire on the bottom of the track and lost the lead with a damaged car. Bollinger, back in the lead worked to hold off Michael Long through the closing laps. 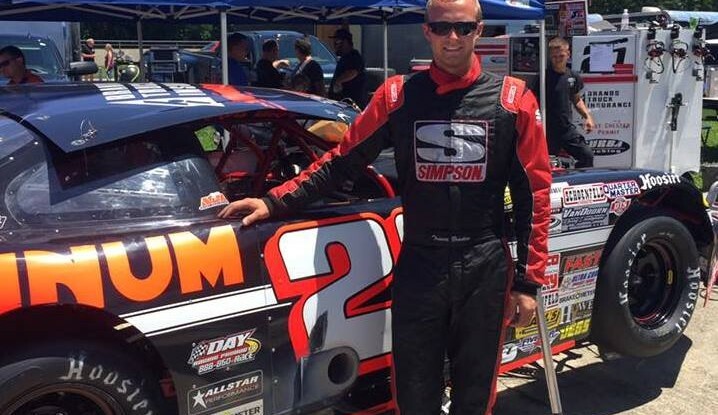 The win was the third of the Summit Modified Nationals season for Bollinger. Long finished in second with Ray Walsh in third. Wallace closed out the night with a 16th place finish. 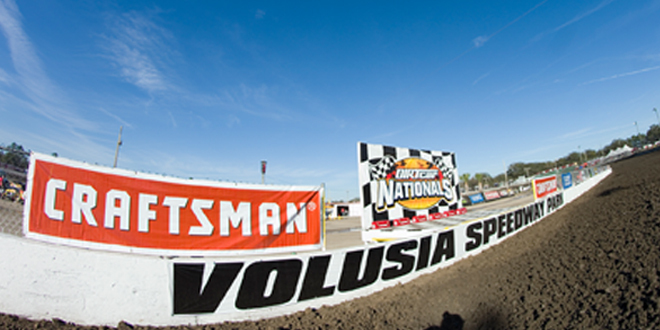 The DIRTcar Summit Racing Equipment Modified Nationals returns to action for the final countdown of the 2016 season on Tuesday as the series takes on Plymouth (Ind.) Speedway. 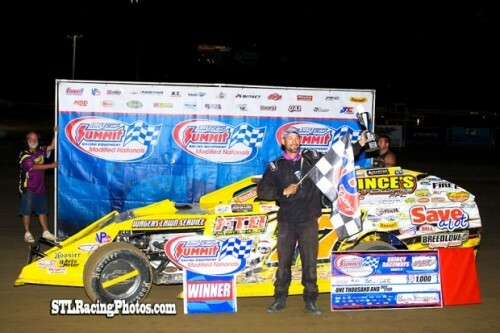 DIRTcar Summit Racing Equipment Modified Nationals Statistical Report; Quincy Raceways; Quincy, Ill.
A-Main: 1. Ray Bollinger (Kewanee, IL), 2. Michael Long (Fowler, IL), 3. Ray Walsh (St Louis, MO), 4. Shawn Deering (Quincy, IL), 5. Donovan Lodge (Andover, IL), 6. David Wietholder (Liberty, IL), 7. Rick Conoyer (St Peters, MO), 8. Spencer Havermale (Quincy, IL), 9. Kevin Blackburn (Fulton, MO), 10. Frankie Wellman (Quincy, IL), 11. Kevin Tomlinson (New London, MO), 12. Charles Baker (Labelle, MO), 13. Russ Coultas (Bluffs, IL), 14. Craig Spegal (New London, MO), 15. Darin Weisinger (Meadow, IL), 16. Kenny Wallace (Concord, NC), 17. Joey Gower (Quincy, IL), 18. Kelly Bartz (Quincy, IL).